Happy Healthy Home: SLS3 Dual Pocket Run Belt Review + Giveaway! 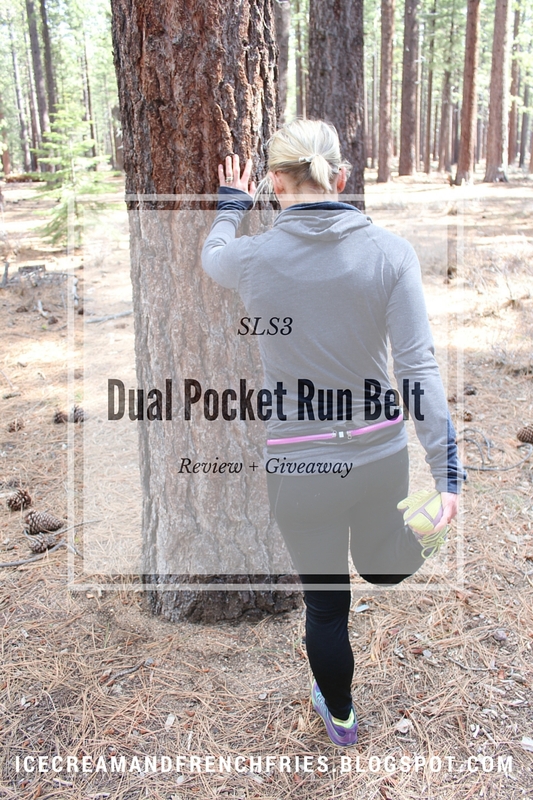 SLS3 Dual Pocket Run Belt Review + Giveaway! I received the SLS3 Dual Pocket Run Belt to review, however, all opinions are 100% my own. This giveaway is sponsored by SLS3. Remember in the 80's [ok, maybe even the 90's] when fanny packs were all the rage. Well they're back and I'm not talking about you're mom's fanny pack, I'm talking about a running belt! While phones get bigger and our pockets get smaller or nonexistent we need somewhere to stash all our goods! Seriously though, where are we suppose to stash our phone, keys, money etc. when out on a run, bike ride, etc? Enter the running belt. When SLS3 asked if I was interested in testing out a the Dual Pocket Running Belt which holds a iPhone 6 I said, YES, please! There were a few other selling points too. While the SLS3 Dual Pocket Running Belt this isn't the only running belt I own I can honestly say it's my favorite. Why does the SLS3 Dual Pocket Running Belt stand apart from other running belts? + 2 POCKETS: carry your iPhone 6+, Samsung Galaxy [pictured above] or other large Smartphone; plus other essentials like keys, ID card, bank cards, energy bars, etc. + COMPACT, LIGHTWEIGHT DESIGN: the running belt design, with 1.5" wide elastic belt and expandable pocket, is minimalistic for increased comfort during exercises. + COMFORTABLE AND BOUNCE-FREE RUNNING BELT: fits snugly enough to always stay comfortably in place, no matter how hard your workout gets. + WATER RESISTANT EXERCISE BELT: made with polyester with special stretch mesh pocket. In addition, the running belt has a waterproof zipper for extra all-weather protection and safety for your valuables and essentials. + Adjustable waist band! This is key depending on what I'm carrying. Plus, I can choose to wear my belt high or low. + Low profile and lightweight. I barely even notice I wearing it. 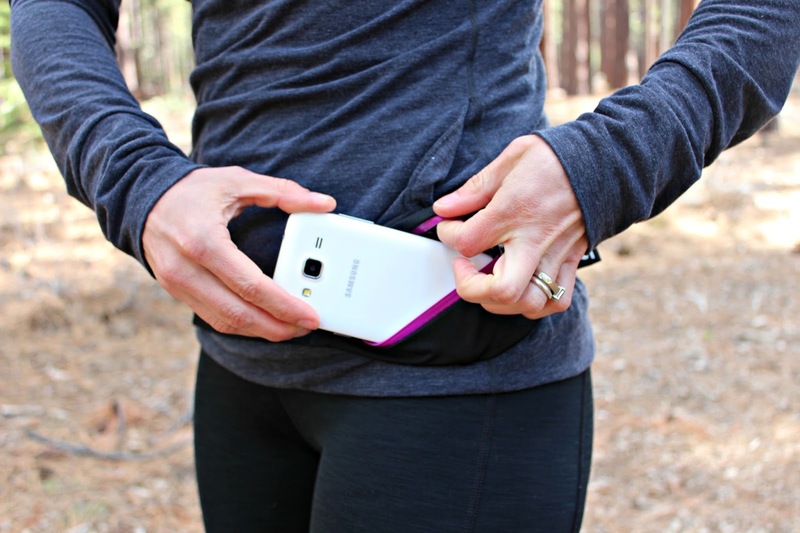 + Fits big phones without looking or feeling bulky! + Stays in place while running. No creeping! + Doesn't carry water [If that's what you're looking for]. Ready to start rocking a running belt? SLS3 is offering readers 40% when using BLOG40 at check out. Click HERE to start shopping! Pro Tip: Check out Amazon because it's the cheapest I ever seen the belt, $12.90! As part of my review, SLS3 is kindly offering one lucky reader a chance to win a SLS3 Dual Pocket Run Belt [$29.99]! To Enter: Please use the Rafflecopter widget below to enter (it might take a second to load, but it should eventually pop up below this paragraph). This giveaway is available in the lower 48 states. Please note, only entries via Rafflecopter will be eligible to win. Thank you and good luck! Avocado Toast Six Ways + A Giveaway!